Cricket Kenya's chief executive Tom Tikolo has resigned after it was discovered US$10,000 he claimed while in the West Indies for a tournament last year was unaccounted for. The news comes after a week-long investigation by CK officials. Rumours that Tikolo was being questioned started circulating last week and he quit after a meeting with the board on Sunday. It is thought he has offered to pay the money back to CK. In a rather vague statement, Tikolo said he had stepped down for the good of the game adding, "I want to deny any wrong doing in all the dealings mentioned in those allegations". It appears that Tikolo asked for the allowance, which was on offer from the sponsors of an Under-15 tournament in the West Indies in May 2008 which he attended, to be paid to him in cash. He subsequently claimed a bag containing the money was stolen a few days later, a fact he reported to the sponsors but not to the local police. The Kenyan board only became aware of this last week. Tikolo said he was too frightened to report the loss to his bosses and so decided to say nothing about it. However, there were inconsistencies in Tikolo's story. He conducted his exchanges with the sponsors through his private email and not his official CK one. All other boards had the allowances paid into their central bank accounts, as is normal. He also told sponsors he needed to be paid in cash as his side was returning home through Dubai and he needed the money to pay for matches taking place there. But there were never any such games arranged. The matter might never have come to light had an ex-employee of CK not hacked into Tikolo's private email and discovered the exchanges. They were then passed on to a former player who circulated them to the national and international media. Other emails have been reprinted by local newspapers but those appear to have serious issues regarding their authenticity, and there seems little doubt that some parties with wider agendas have been looking to exploit the situation. "When my personal mail is hacked into for the purpose of casting aspersions on my integrity, the honorable option for me is to step aside," Tikolo said. "I urge you not to cry as I am not dead. But for those faceless enemies that are out to tarnish my reputation, do not rejoice as there is no grave that you will dance around on and collect soil for your traditional rituals." The news will be a blow to the current administration of CK as they have always sought to distance themselves from the financial shadows which dogged the discredited old Kenyan Cricket Association. It will also be a shock to the wider cricketing community as Tikolo, a former Kenyan international and older brother of Steve, is a much-respected figure. 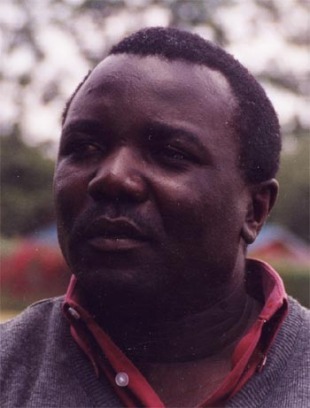 A former ICC development officer, he became CK's chief executive in 2005 and had forged a reputation as one of Africa's most trusted administrators. Quite why a sponsor paid cash in this way is another matter which should be investigated. There are also question marks over the role of West Indies Cricket Board officials after it emerged that Donald Peters, the former chief executive, was consulted by Tikolo after the alleged theft and yet the matter remained private until now.